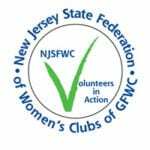 The Junior Women's Club of Somerset Hills is part of a national organization - the General Federation of Women's Clubs (GFWC). Although we concentrate our efforts on local activites, our association with the GFWC allows us to network and obtain ideas and information from a nationwide group. The Junior Women's Club of Somerset Hills has been serving the towns of Basking Ridge, Bernardsville, Warren, Bedminster, Far Hills, and Peapack for over 80 years. The organization is comprised of local women that enjoy giving back to the community while developing friendships, and more importantly having fun. Some of our annual events include, Thanksgiving and Easter/Passover baskets for needy familes, Breakfast wtih the Easter Bunny, "Mr. Ray" concert, Teacher Appreciation Cookie trays, Birthday cards for the local seniors and several other projects on a local and national level. Membership in a Junior Club: Something for everyone! Service: Make a difference by getting involved in local, national and international projects that enrich the lives of others. Satisfaction: Participate in or organize programs concerning education, legislation, environmental issues, cultural programs, health care or other concerns. Personal growth: Develop leadership skills, public speaking and contacts with business and public officials. Friendship: Meet other women, those with similar interests and those who will open new doors for you. Networking: Work with various service organizations and form important contacts within your community. Fun: Social gatherings of club members for the purpose of just having a great time as well as events including family and friends. In 2015, The JWC of Somerset Hills participated in the GFWC state project and raised money for The Valerie Fund, through the sale of Gingerbread house kits. The Valerie Fund provides support for children with cancer and blood disorders.